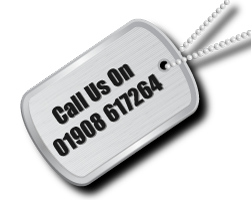 Travel with Rifleman Tours to the Somme and experience the history of this battle. Hear the stories of the men that took part in what would become known as the worst days in Britain’s military history. The Battle of the Somme is famous for the casualties taken on the first day, 1st July 1916. However the battle raged for a further 141 days and saw these casualties increase to a staggering 420,000. Initially the area was a relatively quiet sector of the Western Front for troops from both sides. However, in the build up to the launch of one of the largest battles in history, the area’s beautiful rolling landscape was shelled for a solid seven days with the aim of shifting the Germans from their well dug trenches and fortifications. At 7.30am the soldiers of the British army went over the top to what they assumed would be certain victory and the beginning of the end of the war. But by the end of the day British and Empire losses in total were 19,240 dead and 57,470 casualties. It was indeed the bloodiest day for the British Army. Day One: Depart by coach from your chosen UK collection point and proceed to Dover for our channel crossing by ferry. On the way to Arras we will stop at Etaples Military Cemetery and visit the largest CWGC cemetery in France. 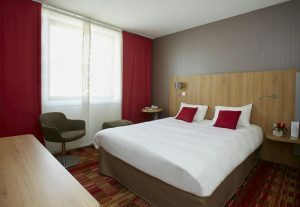 We will then continue on to our three star hotel in Arras, just a short stroll from the centre of town. The rest of the afternoon is at your leisure with time to explore the beautiful and historic city of Arras renowned for its town squares. The main town square is named the Grand Place and is one of the largest squares in France. Day Two: Starting at the extreme right of the British line, we tour across the battlefield to Delville Wood, ground that was hard fought over by the South African Brigade. 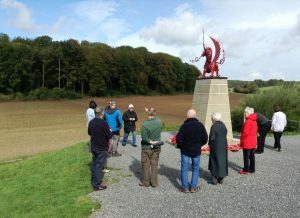 We will then travel along the Longueval Ridge to Caterpillar Valley Cemetery, past High Wood and on to the smallest wood on the Somme; Mametz Wood, contested by the 38th Welsh Division, visiting the stunning Welsh Dragon Memorial which sits up high facing the wood. We then move on to Devonshire Trench, a place that is forever England. Lunch is taken at a local tea room (lunch is included in the price). The afternoon takes us to the northern sector of the battlefield where we can stand in the Sunken Lane where the 1st Lancashire Fusiliers waited to advance on the morning of the 1st July 1916, captured by Geoffrey Malins who filmed them waiting to go over the top . 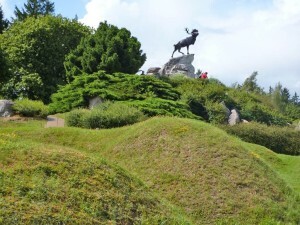 A stroll around Newfoundland Park with its preserved trenches brings the futility of the battle to one’s senses. 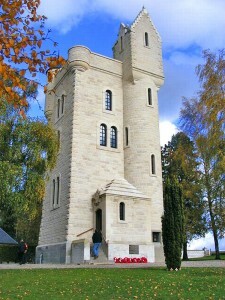 After stopping at the Ulster Tower we shall pay our respects to the missing of the Somme at Thiepval Memorial to the Missing and spend some time at their visitor centre. 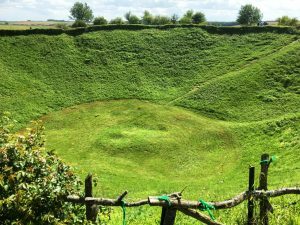 Finally we view the largest British mine crater on the Western Front; Lochnagar. As well as the above sites there will be a number of impromptu stops along the way where the guide will bring the battle so vividly to life. 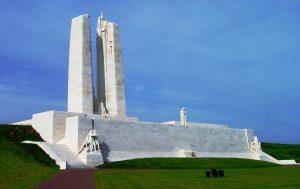 Day Three: After leaving the hotel for our journey back to the channel port we will stop at Vimy Ridge. Here we visit the stunning and imposing Canadian Memorial and discuss the battle that took place here in which the Canadian Divisions fought together as a single army. Some say that this is the day that Canada became a nation. While at Vimy we will look at the trenches and, if time permits, enter the Grange Tunnels used by Canadian regiments (notably the Princess Patricia’s Light Infantry) to enter the front line before continuing our journey to Calais and onwards to home. 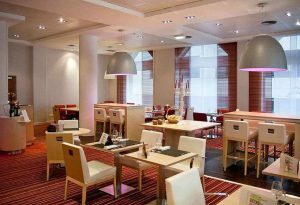 You will be staying at the 4 star Mercure Arras Centre Gare. 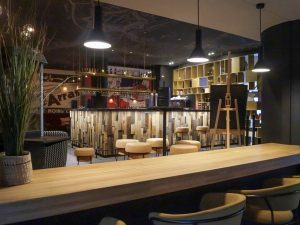 This wonderful central location allows you to walk to the best restaurants and most historic landmarks of Arras town centre. 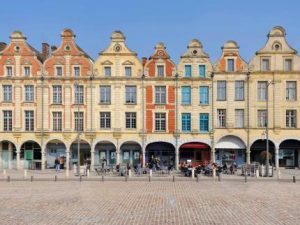 Arras is justifiably famous for its two stunning town squares. These opulent spaces speak of its history as a major trading centre: the town hall is a fine example of 16th century Flemish gothic architecture. In addition to a restaurant, the hotel features a bar/lounge. Rooms are equipped with a television, complimentary Wi-Fi, hairdryer and coffee and tea making facilities.